The most important structure for the skin’s moisture storage is collagen. Depending on the quality and quantity of collagen it contributes up to 60% of the skin’s moisturization. Unfortunately we stop making collagen around the age of 35, and combined with the exposure to the sun and incorrect home care, the loss of moisture from the skin is accelerated and has less capacity to store moisture. 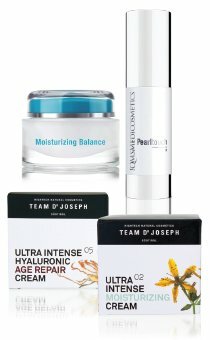 QMS – QMS Collagen serums in combination with a moisturizer suitable for your skin type. 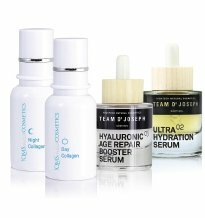 TDJ – Ultra Hydration Serum or Hyaluronic Age Repair Booster Serum – by adding a collagen boosting serum with your moisturizer you will boost the moisturizing process. 2. I use a thick / creamy / rich moisturizer for dryness however, it never seems to be enough and I have to re-apply during the day. Why does that happen? 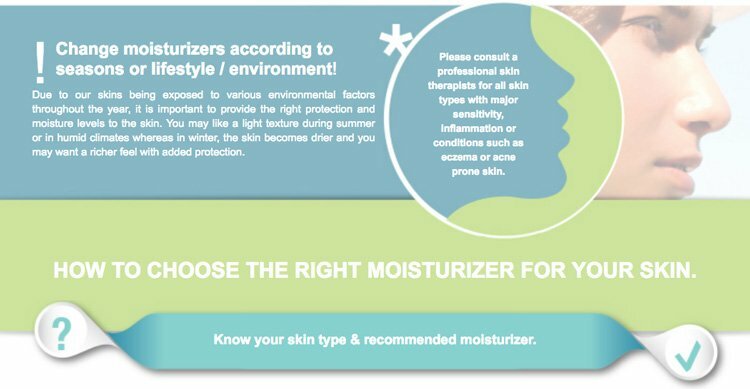 The thickness of a moisturizer does not necessarily mean it is more moisturizing. High water content moisturizers can worsen the skin’s hydration levels and encourage dehydration. For a moisturizer to be effective it should contain hyaluronic acid. Avoid mineral oils that gives the skin a false feeling of hydration as over time the skin will become more dehydrated – leading to a negative snowball effect. This is why you need to re-apply several times. 3. My skin is oily and dry at the same time. How does that happen? It is important to remember that the skin is a protective organ. When the skin is stripped from it’s protective oils, it will lose moisture and in turn, the skin will produce more oils. With the aging process and environmental factors at play, cell turnover will slow down and a build up of dead skin will lead to rough dry feeling and a dull appearance. In other words, your skin is only excessively oily because it lacks in moisture. Regular exfoliation with an alpha hydroxy acid removing dead skin and therefore better product penetration. 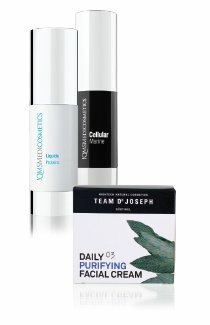 QMS – Exfoliant Fluid (dry, dull skin) or Dermabrasive Gel (oily, breakout prone & sensitive). TDJ – Fruit Acid Peel. 4. My skin is oily so I do not need to use a moisturizer. All skin types need water for optimum health, radiance and cellular functions. Oily skins are prone to moisture loss the same as dry skins are. Oily skins should use a light texture, quick absorbing moisturizer that is non-greasy that give an intensive moisture boost as well as protection against moisture loss. That in turn may help to balance oil and water levels. Characterized by large pores, rough skin texture and is prone to blackheads, congestion and excessive shine. Oily skin types are prone to loss of moisture from the skin, leading to excess oiliness. With aging, oily skins are less prone to wrinkles but will have fine lines, and closer to menopausal age will become sagged. African and Asian skin is more likely to be oily. Liquid Proteins – This moisturizer is high in moisture binding ingredients and is similar to the skin’s natural moisturizing factor. It is lightweight and easily absorbed into the skin. It also makes a good make up primer for those who feel that their make up is clogging their pores. Because it’s a non-oily moisturizer, it’s perfect for men. Cellular Marine – An excellent light weight, super moisturizing cream with wrinkle plumping ingredients and can effectively protect and reverse signs of aging and sun damage. 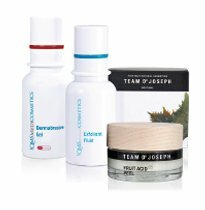 Containing stem cells from marine fennel and botox-like ingredients to soften deep wrinkles such as expression lines on the forehead. Daily Purifying Facial Cream – A natural skin balancing light weight cream. This moisturizer is perfect for oily skins as it balances out excess oil and increases the skin’s moisture content. Easily absorbed with a non-shiny look. Characterized by large pores, congestion and blackheads over the T-zone (forehead, nose and chin), dryness on the cheeks. Dryness is felt a with tight feeling on the cheeks and in severe cases skin can be flaky and sensitive where it is dry. 24hr Cream – An intelligent moisturizer with built in cycles to protect during the day, relax in the evening and regenerate at night. It provides a revitalizing effect on dull dehydrated cheeks while providing protection against further moisture loss. Easily absorbed and feels comfortable on combination skin types. Cellular Marine – As recommended for oily skin above. Daily Moisturizing Cream – A natural plant based hydrating moisturizer. Easily absorbed and suitable for slightly sensitive skins. This product alleviates dry tight cheeks. Natural hyaluronic acid further plumps fine lines and gives the skin elasticity and radiance. 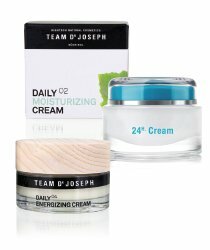 Daily Energizing Cream – Perfect moisturizer for dull lifeless skins with dehydration from sun damage. It improves blemishes and gives the skin a supple and comfortable feeling without being too rich. Characterized by fine pores, tight feeling, can be flaky and sensitive. Dry skins are prone to wrinkles at a younger age. Dry skins can also be prone to sensitivity and have a translucent appearance. Moisturizing Balance – A rich day and night cream. It immediately and continuously moisturizes dry skin types. Dry, sensitive and stressed skin is soothed and repaired with ectoine which envelopes cells and protects from harmful environmental factors. With wrinkle plumping effects it is perfect for mature skins and skins exposed to harsh cold climates and environments. Pearl Touch – An advanced wrinkle plumping, rich moisturizer, free from added chemicals and additives. Super hydrating, nourishing and comforting, this moisturizer containing precious pearl proteins is suitable for damaged, wrinkled, dry skin types. The skin identical formulation ensures a quick penetration and an all day effect with only one application. May be used as a day and night moisturizer. Ultra Intense Moisturizing Cream – Formulated especially for dry, tight and flaky skin, this moisturizer provides instant relief with 100% natural ingredients. Instant smoothing of fine lines, wrinkles and comfort to dry skin sensitized by harsh environmental factors. Perfect moisturizer for those exposed to harsh cold weather. Ultra Intense Hyaluronic Age Repair Cream – Maximum effects are achieved with this moisturizer that not only provides comfort for the driest of skins but also adds a intensive anti-aging effect. Natural hyaluronic acid combined with multiple plant extracts aims to reverse existing signs of mature and demanding skins, while at the same time slows down the aging process and provides intensive instant hydration and all day radiance.